Us, Church or Government: Who is our brother’s keeper? Last week’s blog reminded us that we are our brother’s keeper. Drawing on God’s question to Cain in Genesis, “where is your brother?” John Paul II, in his encyclical Sollicitudo rei Socialis, uses the principle of solidarity—a firm and persevering determination to commit oneself to the common good—to remind us of our Christian call not just to be compassionate to our brothers and sisters in need, but to act to alleviate the suffering of our neighbors. How do we exhibit subsidiarity in our day-to-day lives? 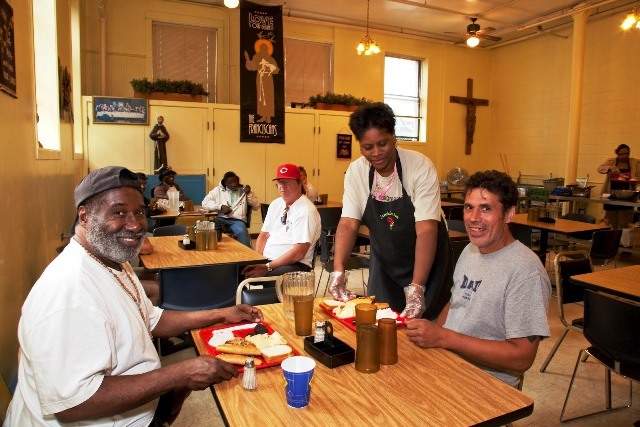 Local communities and social institutions— the parish and charities like the St. Vincent de Paul Society, the Knights of Columbus and Catholic Charities—are a critical first line of support for the needy. These organizations serve the poor by organizing food drives or sponsoring a local soup kitchen. However, the community, the Church and charity cannot alone aid everyone in need. Sometimes the State—or government—must fill in the gaps and provide those “adequate resources.” For instance, the State “fills in the gap’’ with its SNAP program (formerly known as food stamps) that allows poor families to feed their children. At the same time, the State must assist our local efforts to help those in need, not hinder them. The dangers of “excesses and abuses” loom large in the HHS contraceptive mandate, which threatens the ability of faith-based charitable, educational and healthcare institutions to fulfill their mission of providing for the common good by forcing them to pay for drugs and procedures that violate their faith, or to pay crippling fines instead. As we see in the Church’s social doctrine Compendium, subsidiarity requires both positives and negatives of the state. Government has a duty to create conditions in which the mission and efforts of local organizations can flourish. At the same time it must refrain from imposing regulations—such as the HHS mandate—that restrict those efforts. Let’s prayerfully act together at all levels to effectively serve the least among us.